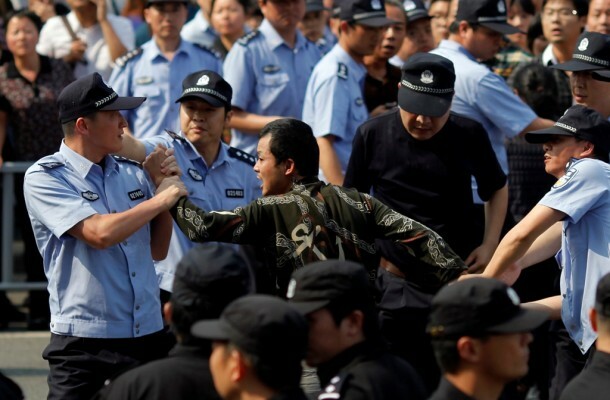 Chinese Environmental Protest a Sign of Things to Come? On Monday October 29, Bloomberg reported that hundreds of Chinese citizens marched through the coastal city of Ningbo to protest the local government’s plan to expand a petrochemical plant. The expansion was planned to have cost $8.9 billion, with all the operations conducted by a subsidiary of the state-run oil corporation Sinopec, before the people of Ningbo and various environmentalists pressured the local government to cancel the project. Ningbo is a relatively prosperous port city, and many of the residents and demonstrators are part of a steadily growing group of middle-class people that came into existence after China implemented economic reforms. Despite the relatively good environmental conditions the citizens of Ningbo experience, there is concern for the future well-being of the city. It seems as though the government’s firm control of the Internet and media has not been enough to keep the people from learning of the disastrous consequences that can occur when these high-tech chemical projects fail. Despite the fact that the protests were against the expanding petrochemical plant, these protests are about more than just the environment. Because the ruling Communist party has virtually unimpeded power, infrastructure projects often involve corruption, rushed construction, and cost-saving corner cutting. Not only is there almost no oversight or accountability in the planning, designing, and construction of these projects, but attempts to curb costs can put employees and nearby citizens at risk. While this story might seem like just an environmental protest to some, it is clearly so much more than that. The fact is that the growing middle-class who have some consumer power and financial stability are realizing that what is good for the government is not inherently in the best interests of individuals. The struggle between individual rights and the greater good of society is the foundation on which most modern democracies are built. Even though protests might be limited to chemical plant concerns for now, what the Arab Spring has taught the world is that a stable nation which denies citizens freedom, rights, and democracy is a future unstable nation. As China continues to transition into a mixed-market economy, the Chinese middle class will expand, and it will become more difficult to silence those who will inevitably demand accountability, transparency, and human rights.